History is repeating itself when it comes to preparing the new NASCAR Fusion for its competition debut in February at Daytona Speedweeks. Much like three years ago, when NASCAR allowed manufacturers to include more brand-specific characteristics, Ford once again used the talents of its designers to ensure the same eye-catching components on the 2017 Ford Fusion production car are included on the new racing version. 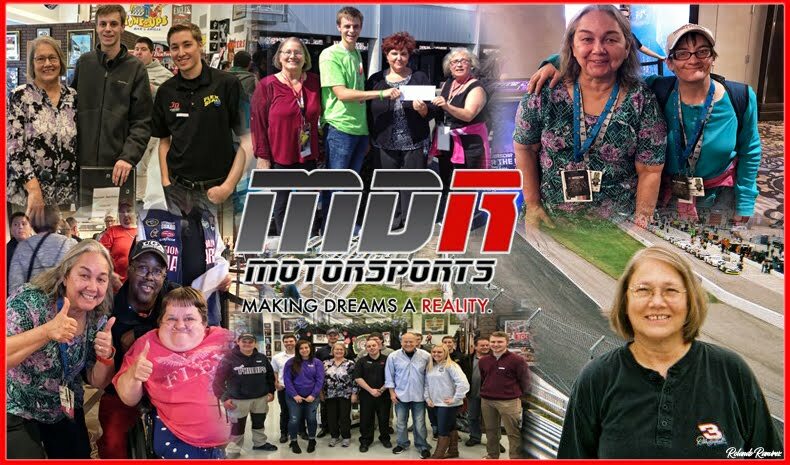 This latest iteration marks the third major body change for Fusion, and represents another step toward keeping "stock" a relative part of stock car racing. The result of the efforts of designers and engineers is an aggressive-looking new race car capable of producing 750 horsepower at 9,000 rpm under the current rules package. "There’s no mistaking we’re here to win races and championships," said Dave Pericak, global director, Ford Performance. 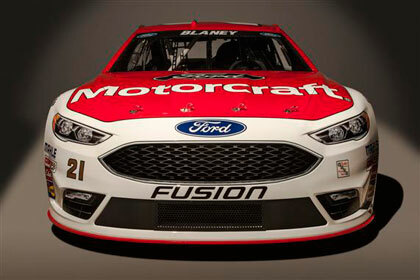 "And we believe the new NASCAR Fusion will be a powerful tool in the hands of our teams and drivers. "Aerodynamics are more important than ever at the speeds these cars run," he added, "so we used some of the best wind tunnel and computational fluid dynamics technology available to create this new Fusion. Fortunately, the Ford design team gave us a great car with which to start." 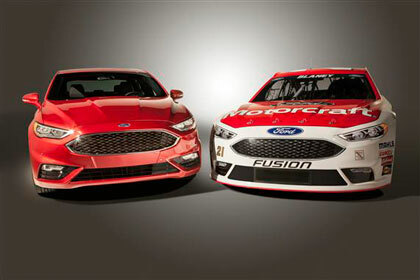 The new NASCAR Fusion follows in the tire tracks of its successful predecessor by not only mirroring the exterior of its production counterpart, but in bringing a better interior to the driver. 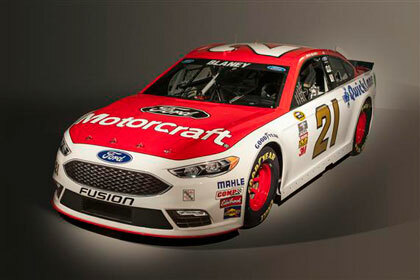 Ford NASCAR drivers will digest more information through a new digital dashboard system that’s mandatory this season. Teams can switch between as many as 16 preset screens to display information, which they can access either in bar graph or numbers format, or via the standard gauge and needle that has been used for years. This latest technological advancement from NASCAR comes on the heels of several significant changes, including the Gen 6 model that brought brand identity back to the sport in 2013, the switch to electronic fuel injection in 2012 and the move to an ethanol fuel blend in 2011. Ford has continued to refine its own technological program as well, opening up Ford Performance Technical Center in Concord, North Carolina, in 2014, which features a state-of-the-art full-motion simulator that assists both racing and production car development. "The technical center and the full-motion simulator have been great tools for our teams and engineers," said Pericak. "As important as aerodynamics are in NASCAR, it’s also imperative the computer simulations that assist the teams in arriving at the track with a proper setup are best-in-class as well. We’ve worked very hard the past year to refine our simulation tools to create a real benefit to our race drivers, as well as the drivers of our new passenger vehicles." Fusion makes track debut Tuesday in Las Vegas The new NASCAR Fusion makes its public debut Tuesday, when 2012 Sprint Cup champion Brad Keselowski participates in a two-day Goodyear test session at Las Vegas Motor Speedway. The Team Penske driver is coming off a season in which he qualified for The Chase after winning at Auto Club Speedway in Fontana, California, then finishing seventh in the final standings. This is Keselowski’s fourth season driving with Ford, his seventh for car owner Roger Penske. He has 17 career NASCAR Sprint Cup Series wins, with eight of those coming behind the wheel of Fusion. 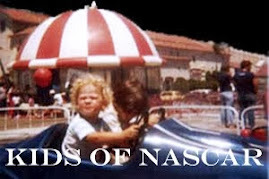 Fusion is entering its 11th season of NASCAR competition. The car debuted as Ford's flagship model in NASCAR in 2006 and has won 71 Sprint Cup races since, including 21 the past two seasons. Roush Fenway Racing’s Greg Biffle drove Fusion to a milestone victory in the Quicken Loans 400 at Michigan International Speedway on June 16, 2013, representing Ford’s 1,000th win in NASCAR’s top three series combined. Fusion has won the Daytona 500 four times in the last seven years, including 2015 when Team Penske’s Joey Logano won The Great American Race for the first time. The new Fusion makes its competition debut Feb. 21 at Daytona Speedweeks in the 58th running of the Daytona 500, kicking off a 36-race schedule that culminates with the champion being crowned at Ford Championship Weekend in Homestead, Florida, Nov. 20.